Make way, cupcakes—it’s whoopie pie time! Everyone is falling in love with America’s classic sandwich treat—two soft cookies with a creamy filling. Now, baker extraordinaire Claire Ptak takes the humble whoopie pie to new heights in The Whoopie Pie Book. 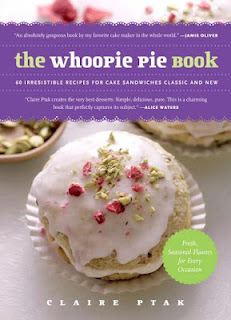 Here are 60 irresistible recipes—made with fresh, seasonal ingredients—that show home bakers how to make the components for more than two dozen distinctive, flavorful whoopie pies from Classic flavors to frozen varieties to holiday-themed desserts that are sure to become favorites.